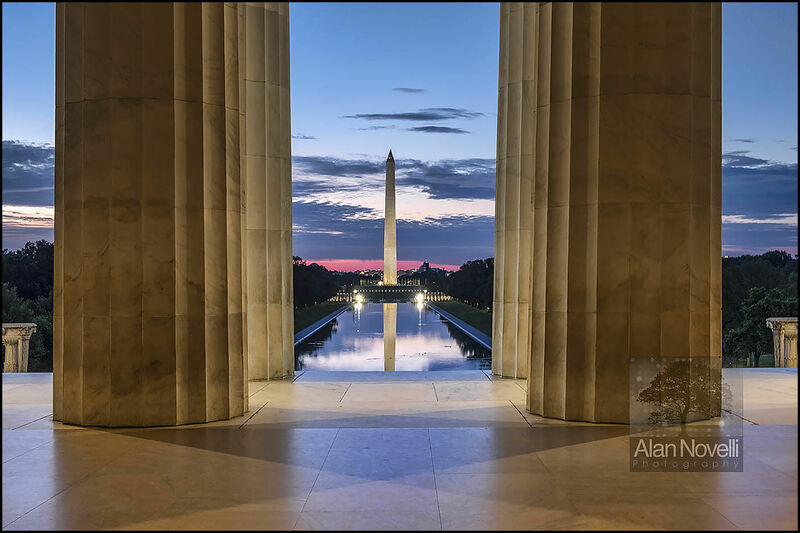 A 4am start secured this image of the Washington Monument from inside the Lincoln Memorial. From sunrise to sunset this architectural wonder sees thousands of tourists crowding this attraction, therefore getting an image like this is simply impossible. Arriving pre-dawn meant I had the Memorial to myself and together with the low light levels balancing the interior lighting, I was able to capture a unique image here in the heart of DC.